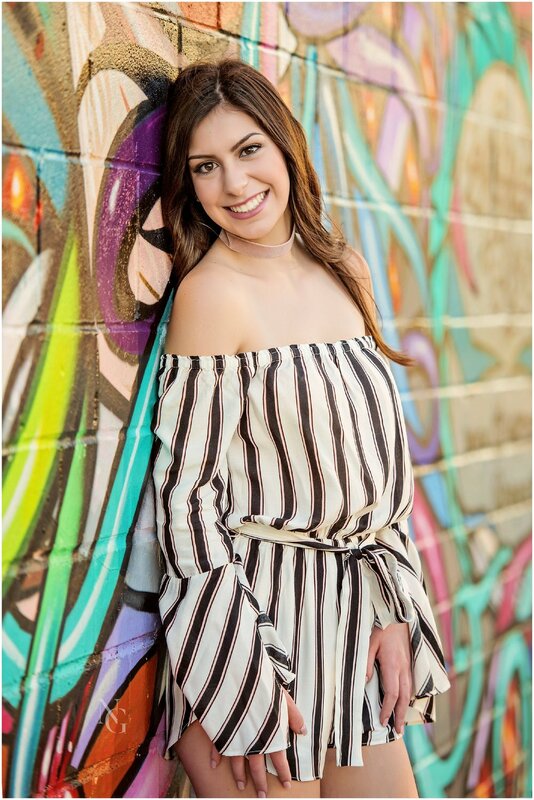 I am so excited to share this beauty's senior session! 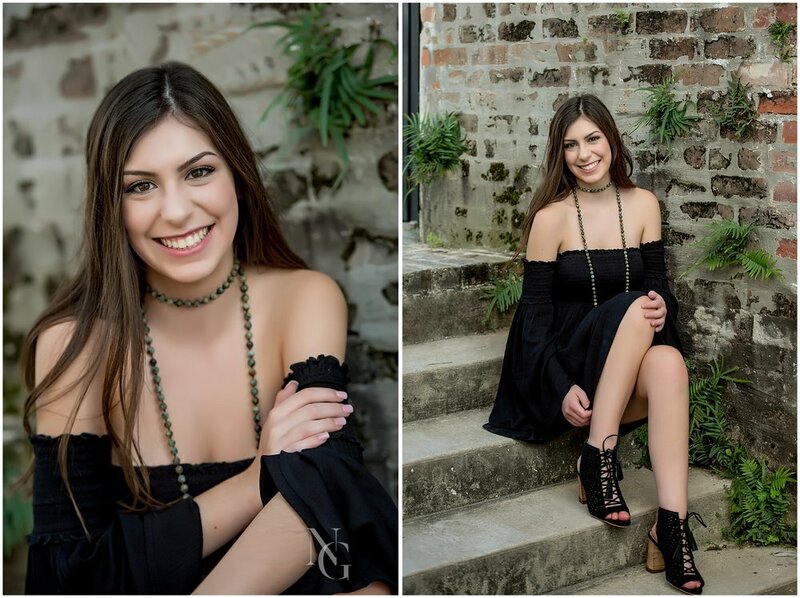 Meet Caroline of Taylor High School! Caroline was such a pleasure to photograph. She has a love for the urban look and wanted to mix a little bohemian style with her outfits. For this session we actually shopped together. Yes, that is a service I can provide! Just ask me for details. Sometimes it can be a challenge to figure out what works best and if you need help-just let me know! Shopping was fun; but I will say....when she said she didn't want lace or flowers for her "bohemian look", I knew we had a challenge ahead of us! ha! ha! However, I LOVE a challenge and Urban Outfitters along with Free People came through! Her entire session was styled between those two stores. A little insight to all things, "Caroline". Caroline is a member of National Charity League, participates in Best Buddies and is a member of the KEY Club. 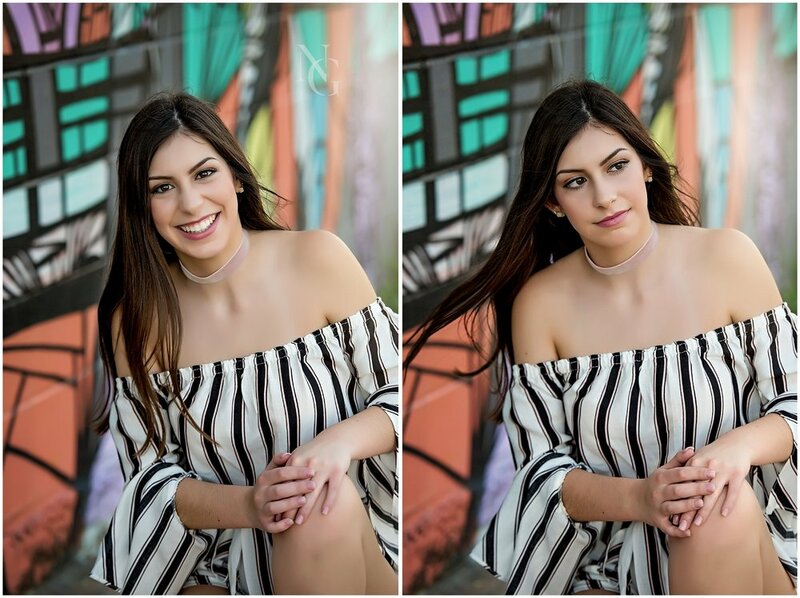 This Taylor High School senior plans to attend college (undecided on which one :-) and is planning to major in Business Administration. Please enjoy scrolling through these fun images! 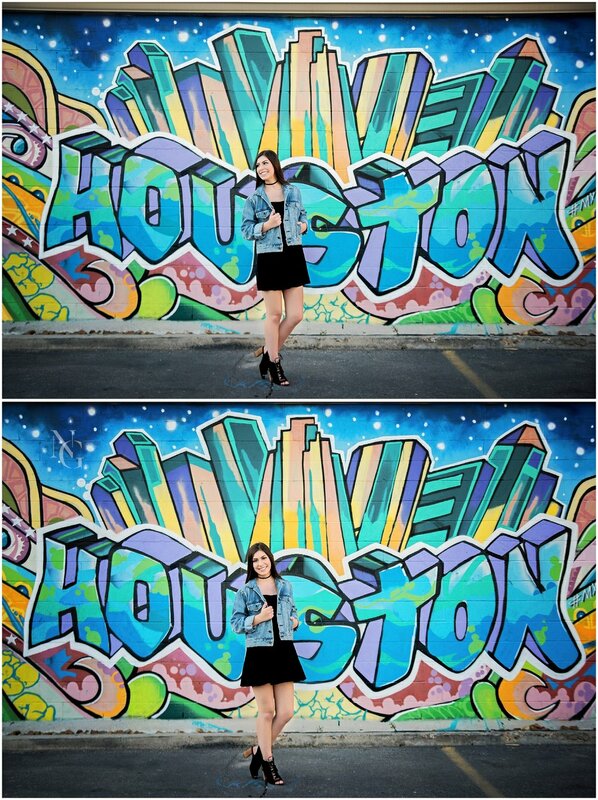 Especially our visit to see graffiti around Houston. Who said you couldn't mix stripes with a stripe background! A little outside the box...but I love how it turned out! 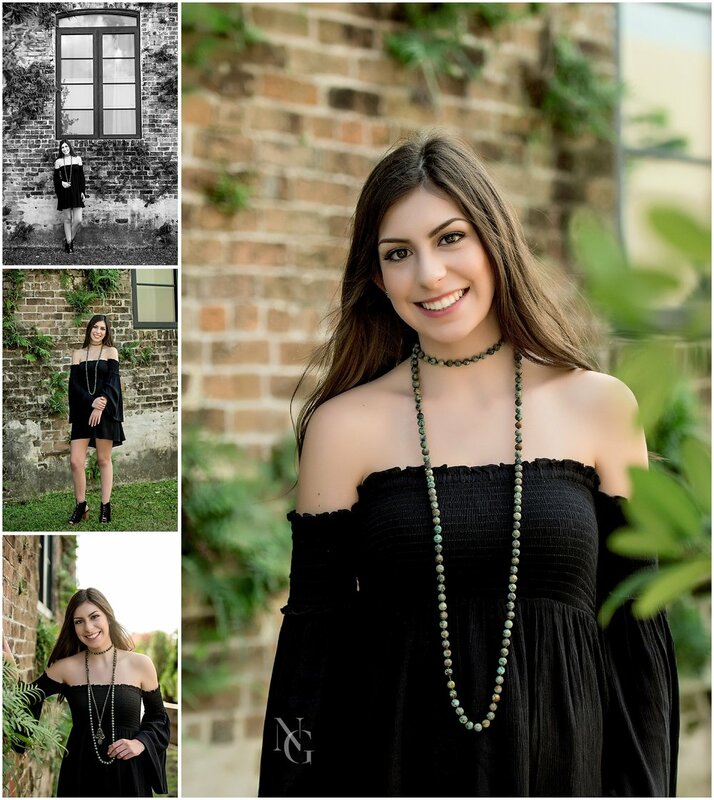 Congrats Caroline on an amazing session and best wishes on an awesome senior year!